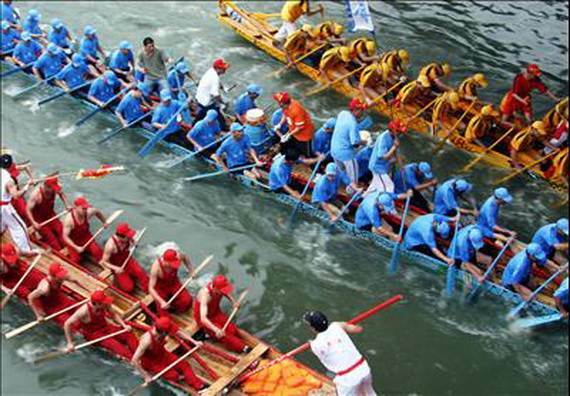 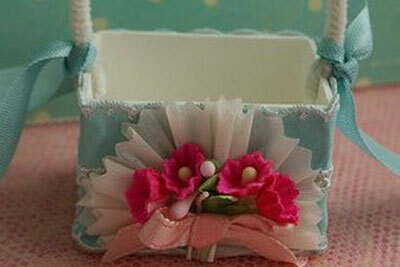 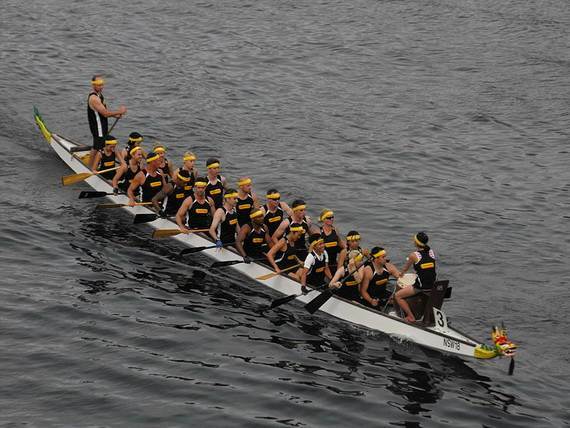 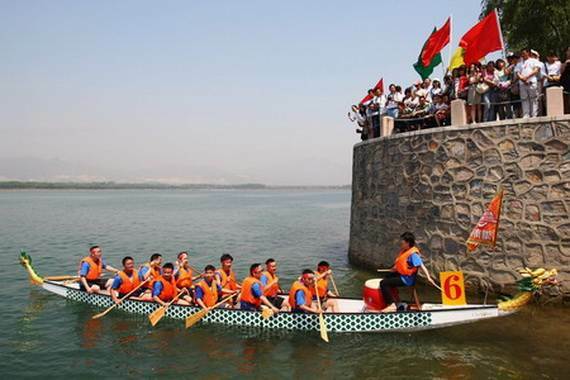 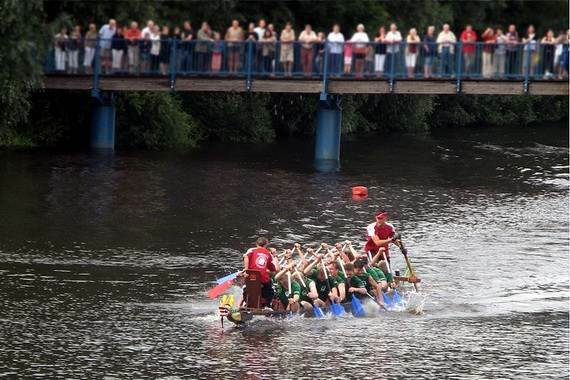 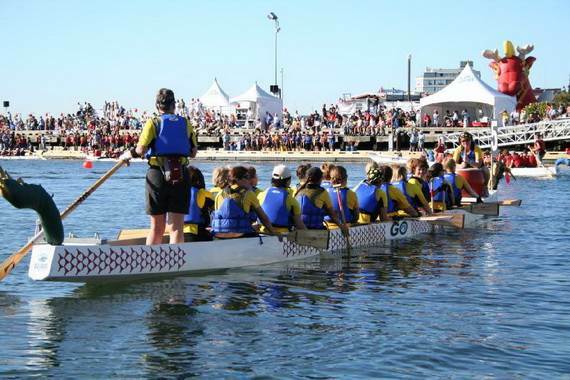 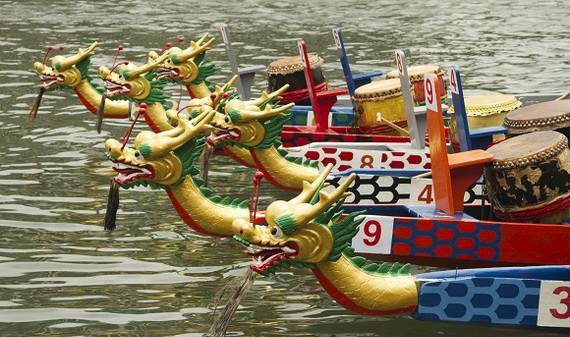 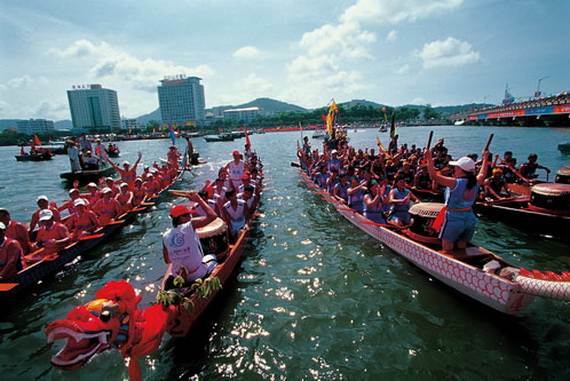 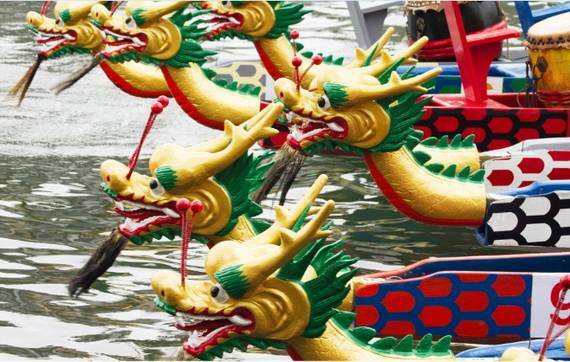 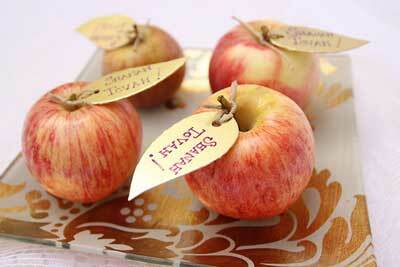 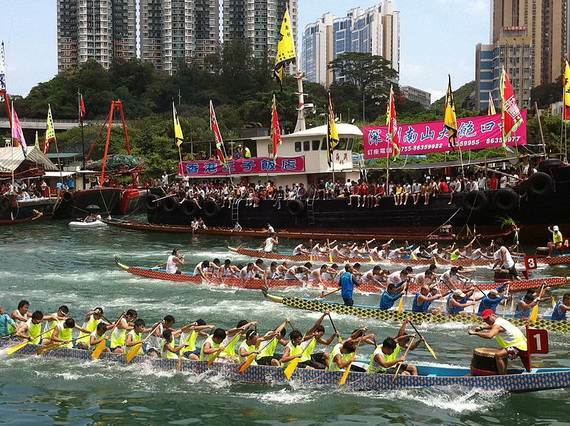 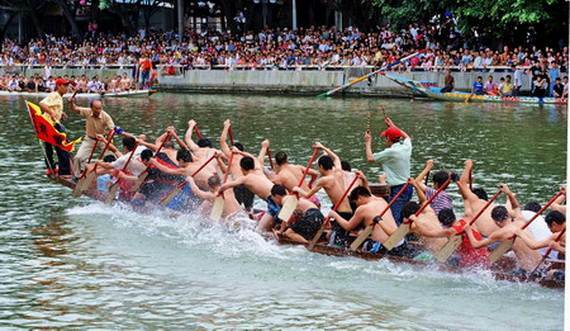 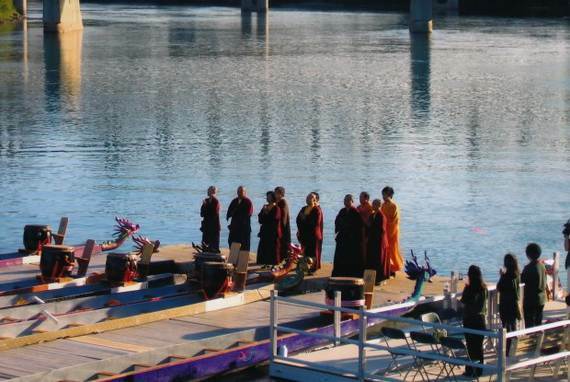 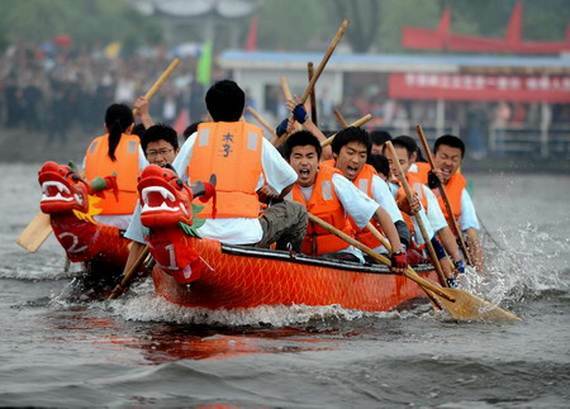 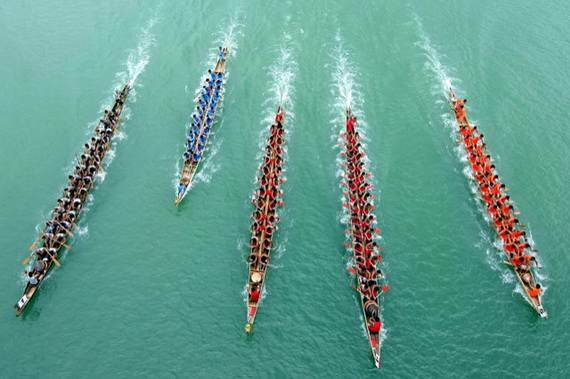 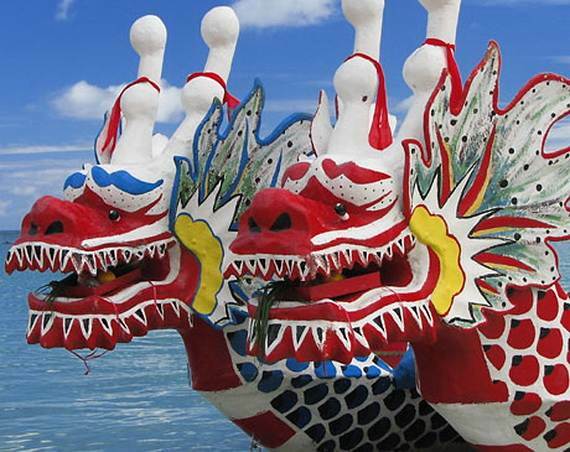 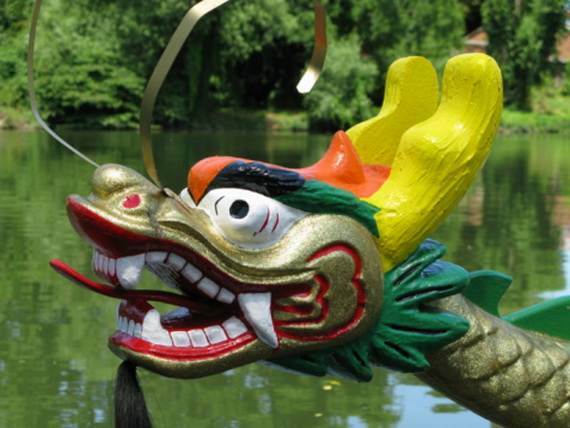 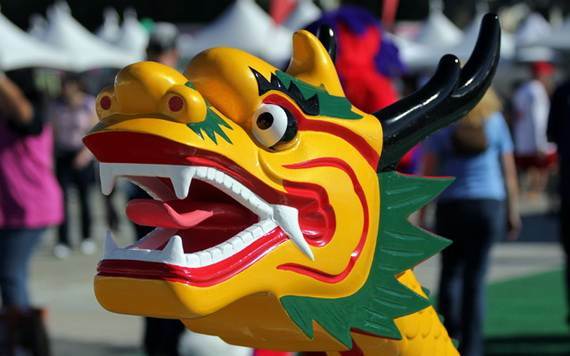 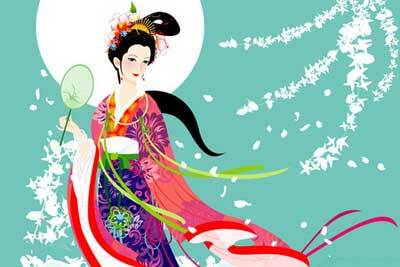 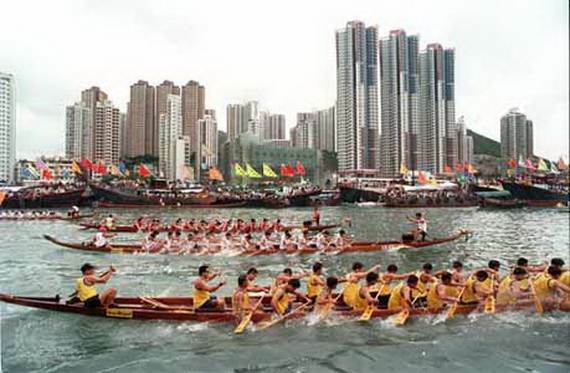 Dragon Boat Festival is part of a larger Chinese cultural tradition and the one with the longest history. 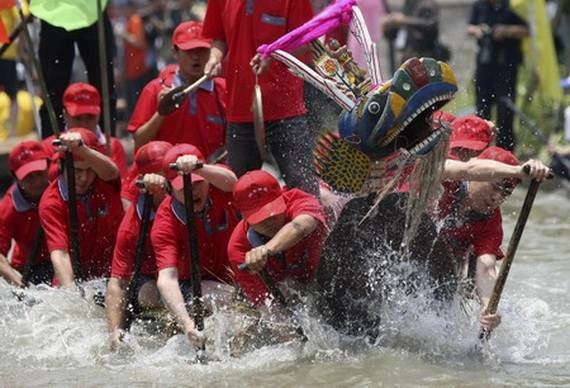 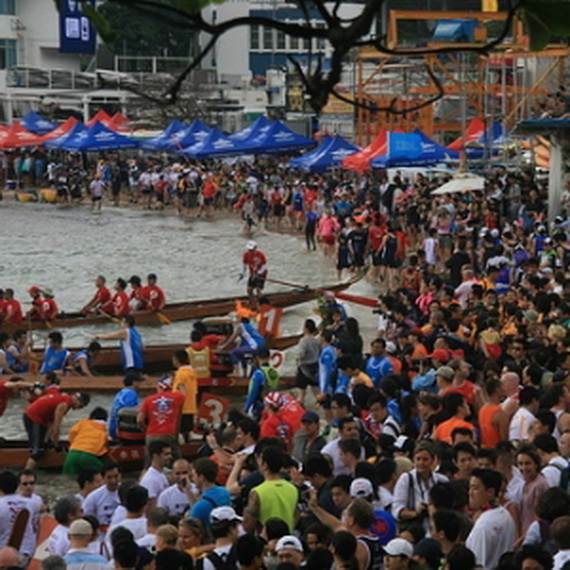 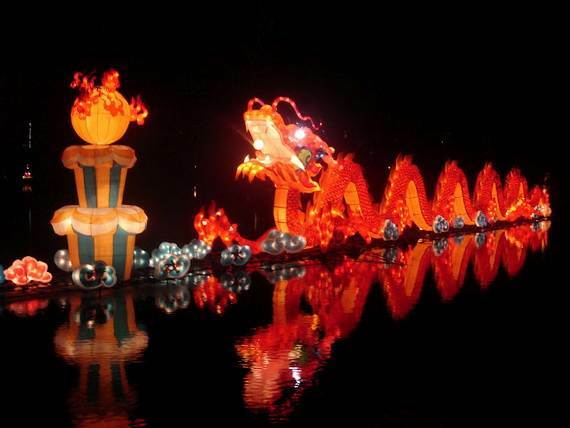 Number of legends attempt to explain its origins of The Dragon Boat Festival that dates back 2,400 years. 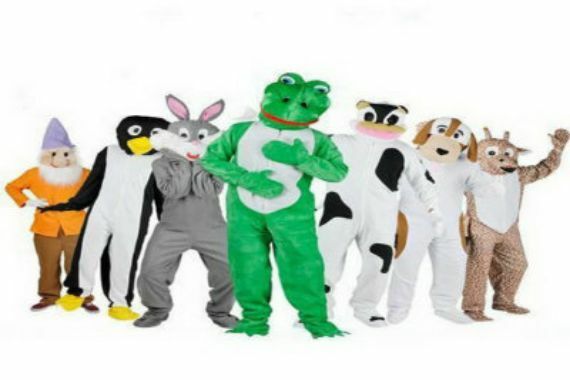 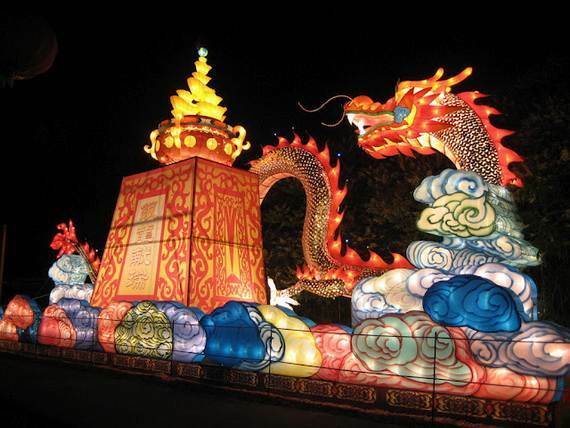 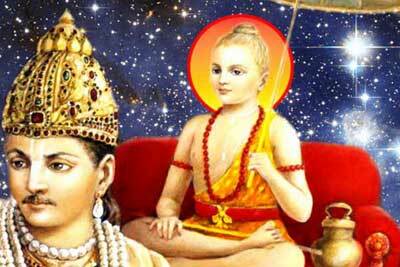 Like other Chinese festivals,there is a legend behind the festival.“Usually Chinese festivals are explained by the traumatic death of some great paragon of virtue,” says professor Andrew Chittick, at Eckerd College in Florida. 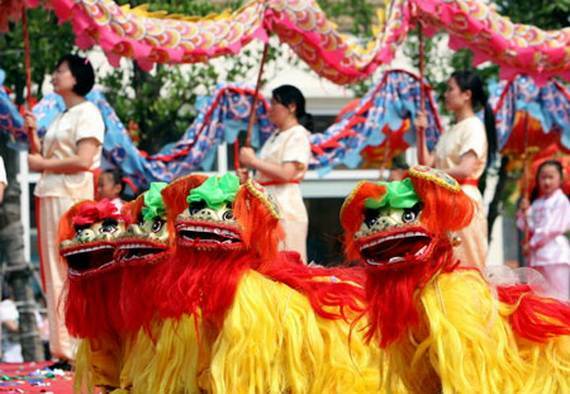 The best-known story is that of the legend of Qu Yuan, Qu Yuan, who lived from 340-278 BC was an ancient Chinese poet and statesman who advocated reforms for his home state of Chu in the pre-imperial Warring States period ( 475 – 221 BC )of the Zhou Dynasty. 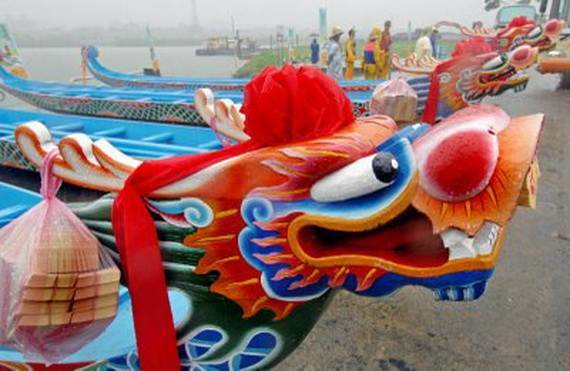 He was banished from his state by the emperor (the King of Chu), who fell under the malicious influence of corrupt, slanderous bureaucrats,and decided to ally with the increasingly powerful state of Qin. 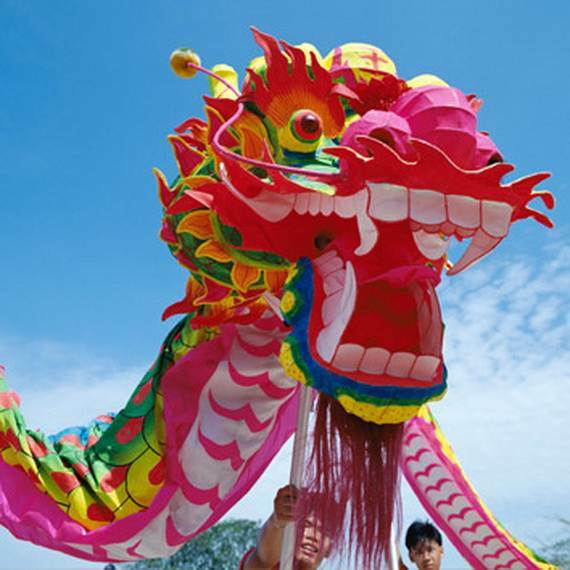 In exile, Qu wandered the country and wrote some of the greatest poems in Chinese literature expressing his concerns for his homeland, love for his state, its people and his concern for its future, for which he is now remembered. 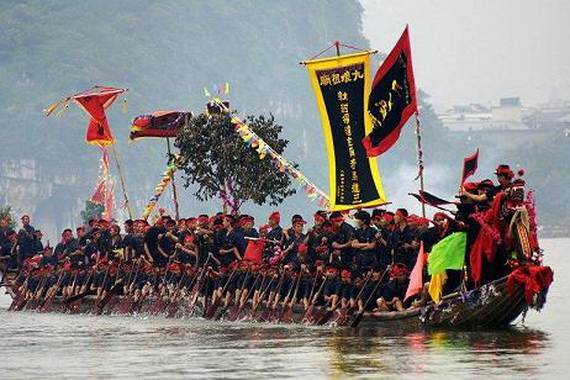 Twenty-eight years later, in 278 BC when Qu Yuan learned of the impending invasion by a neighbouring Warring State, he jumped into the Niluo River, tethered to a rock and drowned himself in order to commit ritual suicide as a protest on the fifth day of the fifth lunar month. 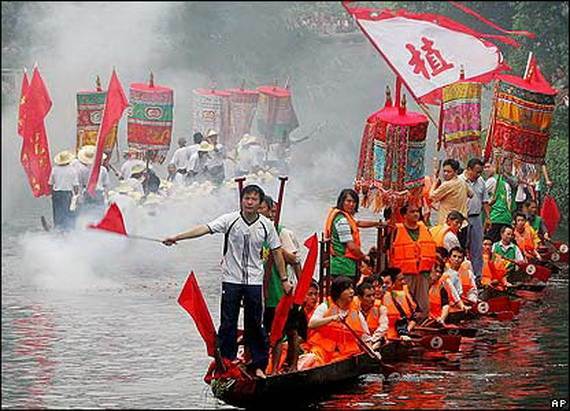 Legend has it that the common folks and local fishermen came to the river bank, upon learning Qu’s suicide, raced out on the water in fishing boats and tried desperately to save Qu Yuan but couldn’t. 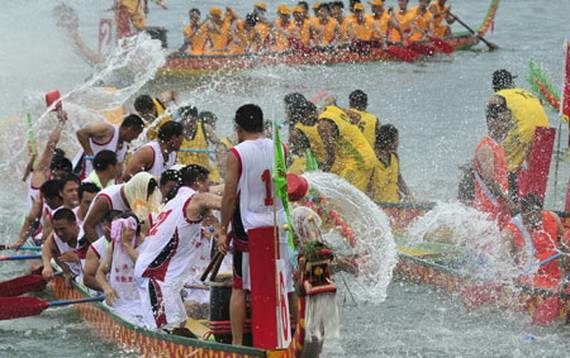 In despair, the locals paddled out on boats, the fishermen re-floated his body, they beat drums and splashed the water with their paddles in order to prevent and scare the fish and evil spirits from Qu’s body. 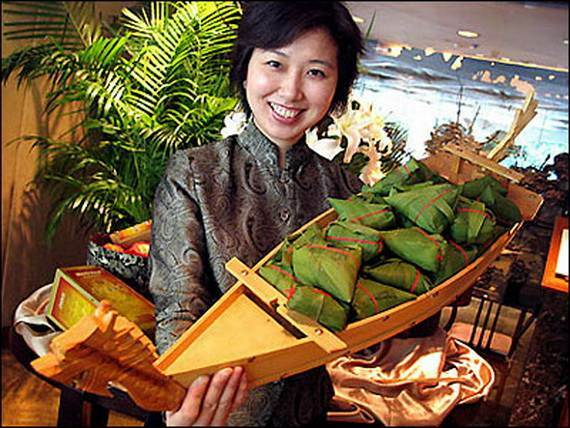 They threw rice dumplings in the river to feed the fish, to keep them from consuming the poet’s body, and was done as an offering to his heroic spirit. 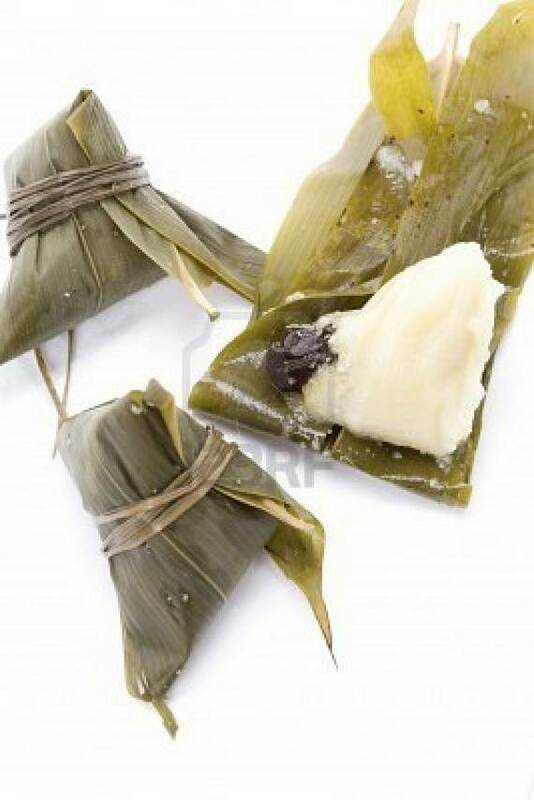 This turned into the custom of eating tzungtzu and rice dumplings. 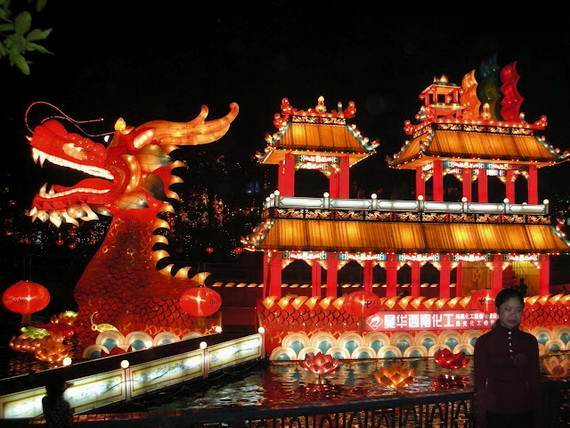 Moreover, an old Chinese doctor poured Realgar wine into the river to poison the monsters and to protect Qu Yuan – purportedly the origin of drinking Realgar wine. 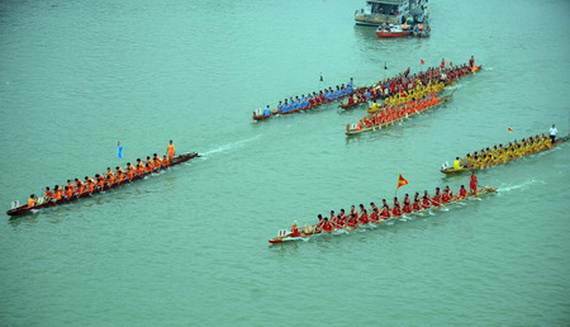 This was the beginning of Dragon Boat Racing, eatting zongzi, and drinking Realgar wine in commemoration of the great patriot Qu Yuan. 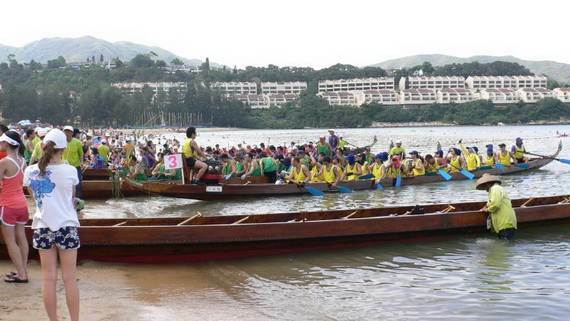 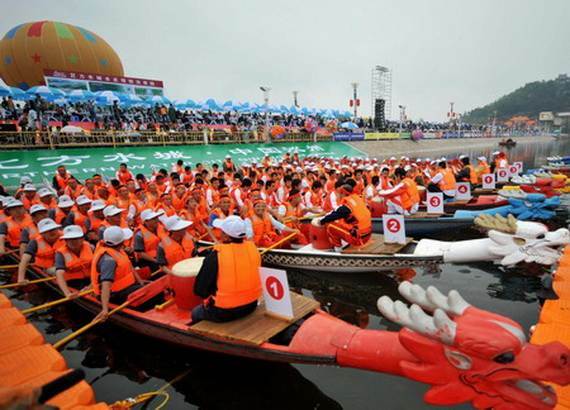 Years later, in commemoration of Qu Yuan, people in China and other countries of the six continents (over 50 countries and territories) hold boat races each year on the anniversary of his death, the fifth day of the fifth lunar month. 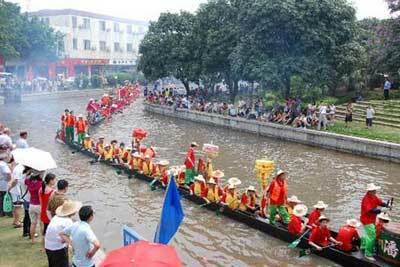 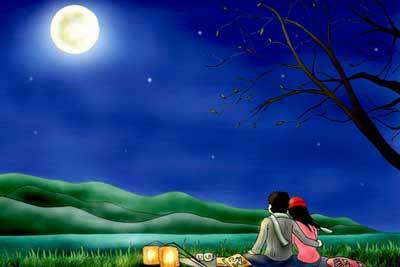 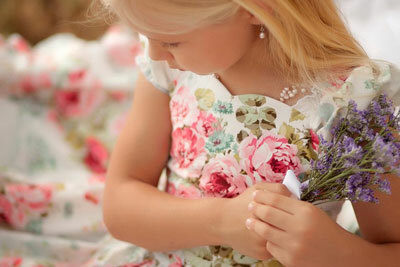 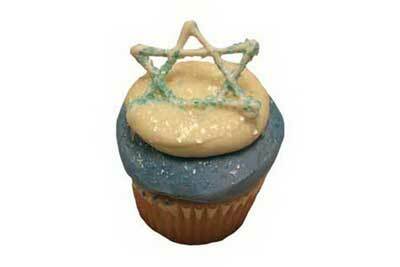 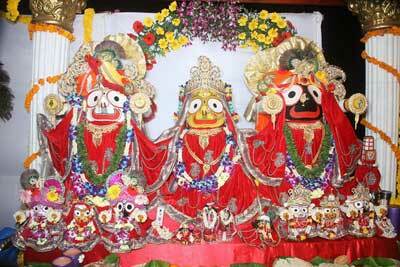 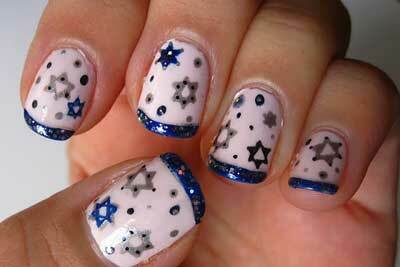 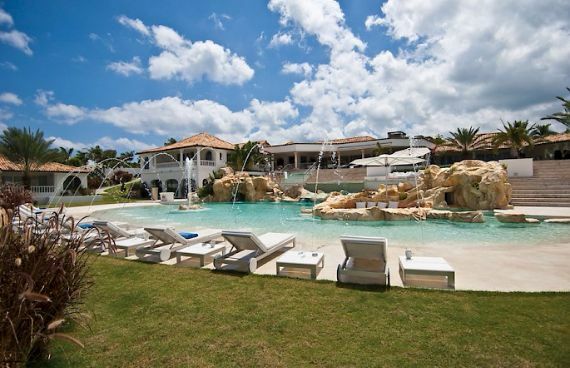 The festival is now popular all over the world. 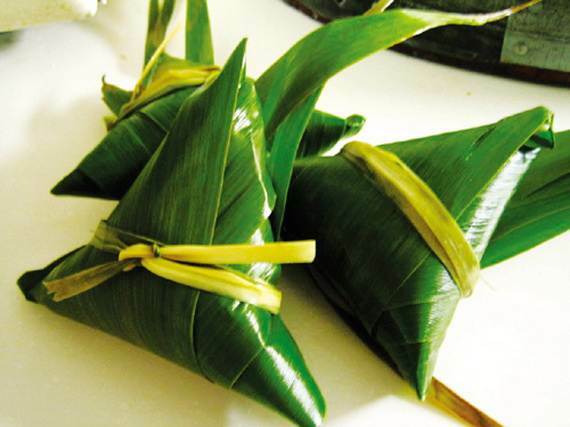 Racing and eating sticky-rice balls wrapped in bamboo leaves( Rice dumplings ), called zongzi in Mandarin, and jung in Cantonese are the main elements of the festival. 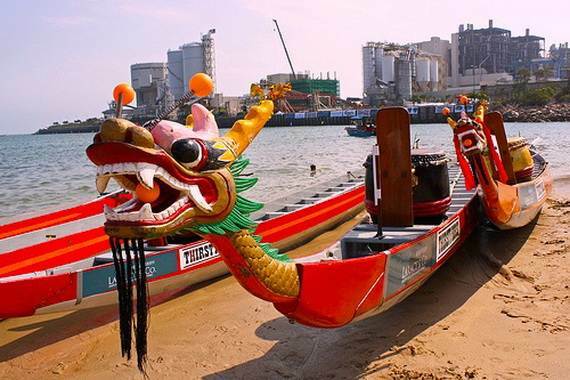 The dragon boats are traditionally very long and narrow wooden boats adorned by a fierce-looking dragon’s head at the prow and a tail at the stern, which are believed to be rulers of rivers and seas and dominate the clouds and rains of heaven. 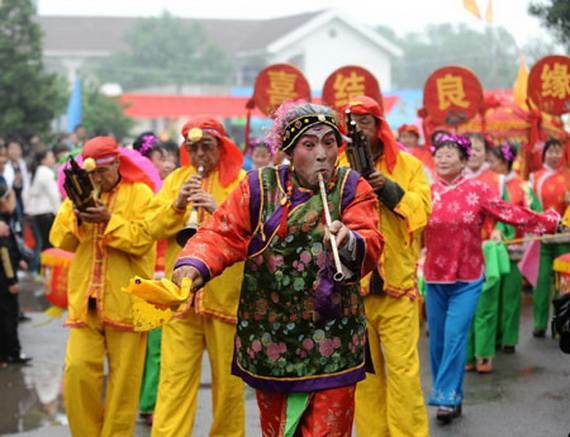 Festivals bring together thousands of people from the public, private, and volunteer sectors racing or observing street theater, traditional Chinese dance performances, martial arts and other cultural demonstrations.